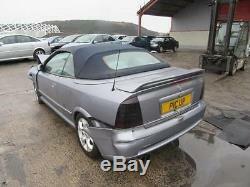 Other Details: 98-06 ASTRA 4 G CONVERTIBLE ROOF IN NAVY BLUE ONE CATCH BROKEN OTHERWISE IN GOOD CONDITION CATCH CAN BE CHANGED. All items are used unless stated. Painted items will have some damage, marks and scratches! This is strictly collection only! This ROOF was removed from a 2006 vehicle. 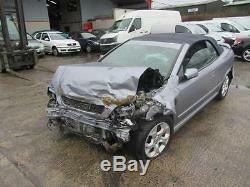 Complete ASTRA is being broken for parts please call with requirements. If you are unsure if this item will fit your vehicle or if you have any other question then please call our parts department who will gladly help. Please quote the following number when calling: 0000297038. Please call between our open hours. 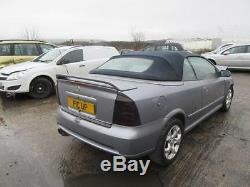 The item "VAUXHALL ASTRA 98-06 MK4 G CONVERTIBLE ROOF NAVY BLUE 0000297038" is in sale since Tuesday, May 03, 2016. This item is in the category "Vehicle Parts & Accessories\Car Parts\Exterior & Body Parts\Sunroof, Convertible & Hardtop". The seller is "picupspares" and is located in SWANSEA. This item can be shipped to United Kingdom.